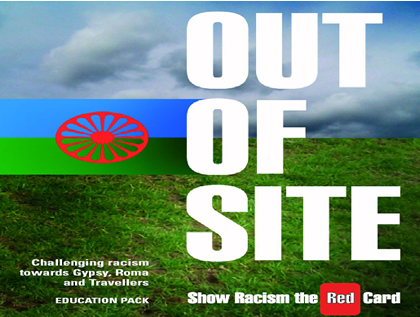 On Wednesday 8th September 2010, Show Racism the Red Card Scotland, supported by Perth & Kinross Council, will be at the home of St Johnstone FC, McDiarmid Park, for the launch of their new educational resource aimed at tackling racism towards Gypsy, Roma and Travellers. The ‘Out Of Site’ pack is aimed at young people, and Luncarty Primary School are trying out the materials on the morning, before the launch, thanks to funding from the Perth and Kinross Community Safety Partnership. The pupils will receive a coaching session from Show Racism the Red Card coaches, former professional footballers Derek Ferguson (Rangers), Michael Weir (Hibs) and Gary Mackay (Hearts). Perth and Kinross has a long tradition of Gypsy/Traveller communities in the area and hosting the launch shows the Council’s commitment to local awareness-raising about cultural differences in order to prevent racism and make services more inclusive. Billy Singh, Campaign Manager for Show Racism the Red Card, added: “Show Racism the Red Card is committed to challenging racism in all its manifestations. Prejudice directed towards the Gypsy Roma Traveller community is nothing new and is still happening. We hope that the ‘Out Of Site’ educational resource will assist educators to promote the message that this type of discrimination has no place in a modern multicultural Scotland. "The partnership working that Perth & Kinross Council is undertaking with St Johnstone and ourselves demonstrates a clear commitment to stamping out racism in the region. This kind of work equips young people well to deal with racist attitudes and behaviours. Schools in the area are very keen to engage with the campaign and the young people we have worked with are very positive about it."